The most awaited OnePlus Two has been officially launched by the company. 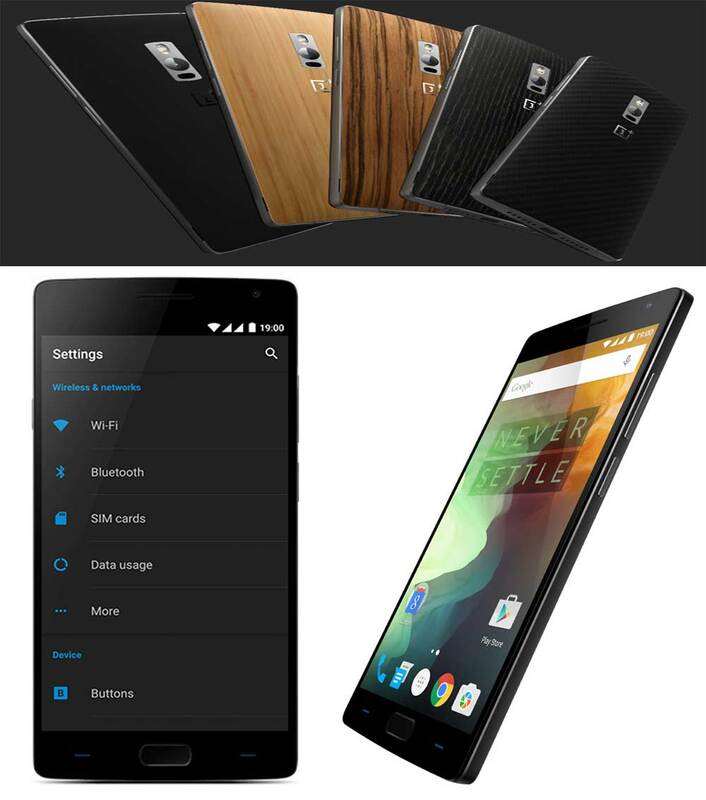 The new OnePlus 2 comes with vigorous specifications and very affordable price tag. It is 2015-2016 Flagship Killer, said the company. It will be available in India, USA, Europe, UK , Canada, Poland, Denmark, Sweden, Czech Republic, Taiwan , Hungary, Philippines and Dubai. The Phone is improved version of the Oneplus One, that was launched last year back in June 2014. In order to buy the One-Plus 2 you have to register for invites ( still invite system, but FAST). The OnePlus 2 comes with 5.5 inch FHD IPS LCD in-Cell display with Corning Gorilla Glass protection on the top. Many were expecting the display to be Quad HD 2k, but its 1080p. It is one of the first flagship smartphone to feature USB Type-C. It supports USB OTG. It packs with 13MP main camera with Dual LED flash, f.2.0 aperture, 6P lens , OIS (optical image stabilization) and Laser Auto Focus for better focusing capabilities. It can record 4K UHD and 720p HD video at 120 fps (slow motion). The OP2 has 5MP front facing shooter. The speakers on the OP Two are placed at bottom, to avoid sound muffling. It is DUAL SIM smartphone with 4G LTE connectivity on both the SIM cards. The OnePlus Two comes in two variants: 16GB ROM with 3GB RAM and 64GB Internal storage with 4GB LP-DDR4 RAM. It draws the strength from 1.8GHz Octa-core Qualcomm Snapdragon 810 v2.1 64 bit processor. It is 9.85mm thick and weighs 175 grams. It features Finger-print sensor and has dedicated Alert slider button for user convenience. Other connectivity options includes Dual-band Wi-Fi ( 2.4GHz 802.11b/g/n and 5GHz 802.11a/n/ac), Bluetooth 4.1 , GPS + GOLNASS and WiFi Direct. It runs on Android v5.1 Lollipop with Oxygen OS flavor on the top. The One Plus Two will come in sandstone black, bamboo, black apricot, wood and Kevlar five cover versions. It will compete with (main rivals VS) Nexus 6, Samsung Galaxy S6 Edge, Gionee Elife E8, iPhone 6 Plus, Note 4, Xiaomi Mi4, Micromax Canvas Sliver 5 Q450, HTC One M9 +, Asus Zenfone 2 ze551ml , Motorola Droid Turbo, MMX YU Yuphoria Plus, LG G4, Oppo Find 7, SM Galaxy S5, Note Edge, Galaxy E7, Google Nexus 6, LG G Flex 2, and Lenovo Vibe Z2 Pro. The OnePlus Two will be available in India, USA, Canada, Europe and China starting from August 11th 2015. It is priced at RS 24999 in India ( 289 GBP in United Kingdom) for 64GB model. We might see permanent price drop in OnePlus One (OPO) soon.